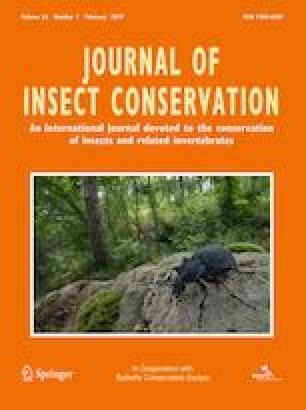 How does habitat diversity affect ground-dwelling arthropods assemblages in Douro Demarcated Region terraced vineyards? We investigated the impact of neighborhood non-crop habitats (NCHs) and cover vegetation in the Douro Demarcated Region terraced vineyards on ground-dwelling arthropods communities. Arthropods were sampled using pitfall traps located either in NCH as inside vineyards, at three distances (5, 25 and 50 m from NCH). Vegetation cover and plant species richness were evaluated around each trap. Omnivores (Formicidae) and detritivores (mainly Collembola), accounted for 42.0% and 33.7% of the sample, respectively. Predators, mainly dominated by Scydmaenidae (Coleoptera) and Araneae, accounted for 19.4% of the sample. The abundance of omnivores and predators was higher in NCH than in vineyards. In Formicidae, the generalist/opportunist group dominated, being highly represented by Pheidole pallidula. This group occurred mainly in NCH and its abundance was positively correlated either with plant richness as with percentage of fresh and total cover vegetation. This study indicates that preserving NCH close to the vineyards, as well as promoting native vegetation, enhances the presence of ground-dwelling arthropods. The online version of this article ( https://doi.org/10.1007/s10841-019-00144-y) contains supplementary material, which is available to authorized users. This manuscript is part of C. Carlos’s Ph.D. Dissertation. This study was funded by the Association for the Development of Viticulture in the Douro Region (ADVID). We thank the technicians Maria do Carmo Val and Susana Sousa for supporting work activities. We also thank to Real Companhia Velha, Sogevinus and Sogrape wine companies, for providing their vineyards to conduct the field work, and their viticulture managers for technical support. Coleoptera specimens were identified by taxonomists of the Natural History Museum of London. The identification of Coleoptera was supported by ECOVITIS Project (Programa de Desenvolvimento Rural/PRODER. Med. 4.1 “Cooperacão para a Inovacão” (PA 24043)). Authors integrated in CITAB Research Centre were supported by National Funds by FCT—Portuguese Foundation for Science and Technology, under the Project UID/AGR/04033/2019. The author integrated in CEMAT-IST-UL was supported by FCT, under the Project UID/MULTI/04621/2019. The author integrated in the Centro de Estudos Florestais, Instituto Superior de Agronomia was supported by the Project “Technical cooperation, knowledge sharing and training in the area of forest and agricultural entomology and integrated pest management”, funded by KKL-JNF Israel.